Are you ready to add a little life to your backyard pond? Adding a pond pet can be the perfect addition, as it adds character, color, and most definitely life to the space. I can’t tell you how much enjoyment we get out of watching our animals in the pond. It’s especially entertaining when the turtle decides to play “tag” with the fish. Oh yes, hours of fun! When we first moved into our home, we were stoked to be inheriting a large, old koi and a red eared slider turtle with the pond in the back yard. But after a few months of just the two animals in the pond, we thought it’d be fun to add some more. So we did some research and found a few shubunkin goldfish to add to the mix. There’s been a lot of change over the past two years in our pond and we now have 10 shubunkin goldfish and our red eared slider, Franklin. The original three shubunkin were eaten by a juvenile red tailed hawk and we’ve since put a net over the pond. But somehow between adding them to the pond and them disappearing we were left with 13 baby fish swimming around. 10 have survived to be the size you see in the photos below. You can find enjoyment in being able to provide a peaceful refuge to a pond pet, as they are sure to enjoy being there just as much as you enjoy having them. But how do you pick the perfect pond pet? 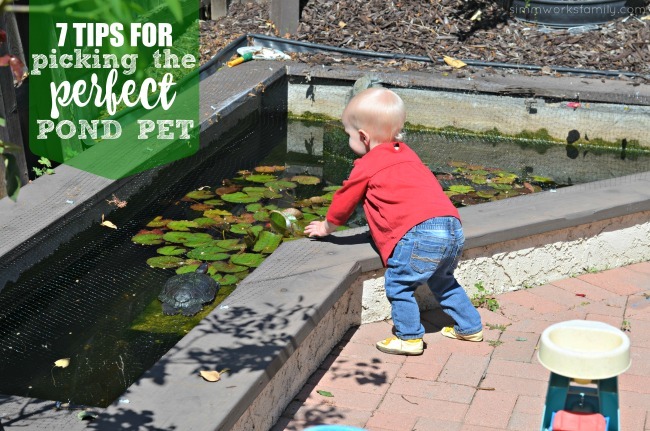 If you aren’t sure where to begin, take a look below at 7 tips for picking the perfect pond pet! 1. Know what sort of space you are working with. Frogs and turtles will be able to come up for much needed oxygen, but your fish won’t. 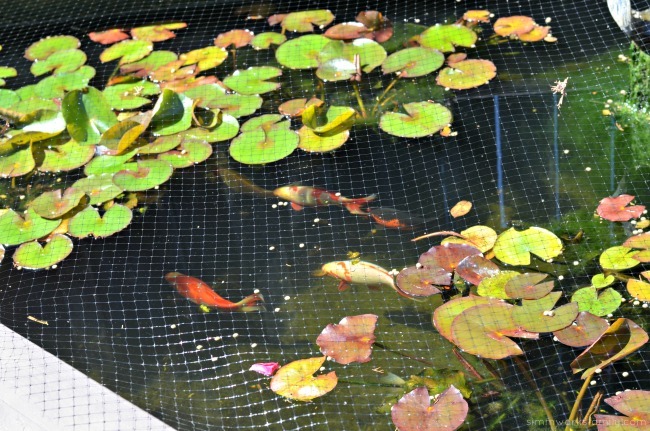 If you are considering koi or goldfish, you want to be sure there is at least 8-10 square feet of pond per large fish. 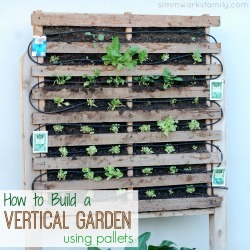 This will ensure they get the space and oxygen they need to grow properly. If you are working on limited space, opt for one or two goldfish or amphibians that can come and go as they need. The number of fish in our pond is higher than we’d like so we’ll be looking to re-home about 1/2 of them so that the other 1/2 can live with enough room to freely move around. 2. Be realistic about maintenance. Adding fish to your pond means regular feeding (sometimes more than once a day) as well as regular filter maintenance. Amphibians as you know can typically find insects on their own, but the occasional sprinkling of crickets may be needed. If you are short on time, fish that need daily feeding may not be feasible and you should opt for amphibians. We’ve found that we clean the pond and pond filter once a month and feed frequently (1-2 times in the day) during the summer, and less frequently in the winter. Most fish and amphibians can survive a harsh winter if proper preparations are made with the pond. If you have the time to do this yearly, go for it! If you live in an area where extreme heat or frost is an issue, you might be setting up these pets for failure. Instead, add bird feeders around the pond to attract birds who can fly south/north as needed to survive. Luckily we live in Southern California and have no need to bring in our red eared slider during the winter months. But many turtle lovers set up a tank in their homes for the winter months with no issues. So don’t completely shy away from amphibians or turtles if you think you’ll be able to take them inside in the winter. 4. Talk to your local pet shop. Don’t pick out pond pets blindly. Be sure to talk to a local pet shop or business that specializes in ponds so they can make suggestions for you. They are sure to offer helpful advice and product suggestions so you can have a successful experience. We have had such a great amount of luck at Aquatic Warehouse in Kearny Mesa. They help us every time we have a problem and were able to recommend an awesome pond pump and filter for the size of our pond. 5. Consider kids into the decision. 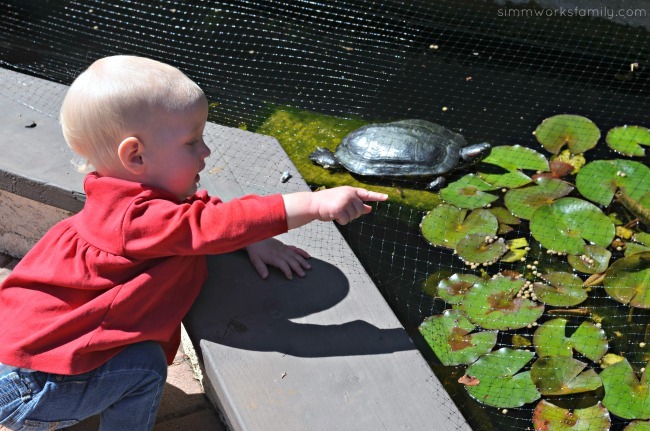 Do you have small children who can pose harm to the pond pets? Or perhaps be intrigued by them and get too close to the pond? Be sure your children know how to be respectful of the pond pets and know how to care for them properly. You also want to avoid pond pets if children don’t know pond safety precautions, as their curiosity can result in harm. We are currently working on wrapping a seating bench around the pond to help in deterring our kids from leaning over and reaching into the pond. We should have that complete by the time our youngest is old enough to open our sliding glass door leading to the back yard. So you think you want a few snails or frogs in your pond? Think just a few fish won’t be a big deal? Be warned that pond pets can and will breed and before you know it you can be up to your ears with new pets! Know how to deal with fish/amphibian eggs so you don’t quickly become overrun. As I mentioned before, after our shubunkin passed and we thought we only had the one koi and one turtle, we ended up finding baby fish in our pond! At first we assumed the shubunkin laid the eggs and left them, but now as the fish get older, some look like koi and some look like shubunkin! You never know if the animals you’re adding to the mix are already pregnant and will be making babies in the pond. 7. Consider your reasons for wanting a pond pet. Do you want to add a little life? Frogs are great for that, but be warned they can be quite noisy at night! Turtles are fantastic, but may wander into the grass and will need to be watched out for when mowing. Our turtle stays in the pond at all times right now but we are planning on creating an area for him to climb out and sun bathe in. It will be gated off so that the dog and chickens can’t get in and hurt him. Each pond pet comes with unique needs you should be prepared for. 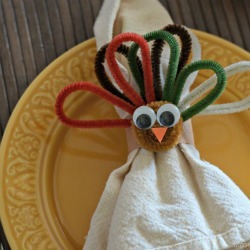 If you want one solely for decoration, you might want to think again. Remember these are living creatures that need care and are for more than decoration. If you keep this in mind and are ok with it, a pond pet is sure to appreciate the space you provide! A pond pet can be a lot of fun, a learning experience, and add greatly to your backyard pond. Keep these tips in mind when choosing the perfect pond pet, and you are sure to enjoy success. Do you have a pond? Or are you considering creating one? This old boy. He’s getting slower. He’s not as active. And he’s more interested in naps these days then long walks. But that doesn’t mean we stop showing him affection. Dogs are easy. Feed them, water them, clean up after them, and most importantly, love them. I’ve grown up with dogs for the majority of my life and through each relationship I’ve built with my pets, the relationship I have with my dogs has come to be the strongest. Perhaps it’s their undying affection. The fact that no matter what, as soon as I open the door from a long day out they’re there wagging their tail (some wagging their whole body!) and ready to shower me with love. And that would make anyone feel good. But I have to be honest. Sometimes I walk through the door and am trying to rush in to get dinner started, or put away groceries. And this old boy is standing in my way waiting for his love. Waiting for a simple pet on the head and some acknowledgement. And instead I rush past wondering why he has to always be in my way. But as soon as I get to where I was headed I realize what I did and am immediately filled with guilt. He just needed a pet. Just needed some love. So I’m going back to basics and re-teaching my family how to show Scout the affection he deserves. The kids don’t need much re-teaching. The baby is obsessed with him and even says some form of “dog” when reaching out to him (something along the lines of daga at the moment). And the big kids love to walk him and give him treats. He doesn’t “play” much anymore but when he does, it’s when the kids rile up the chickens and get him excited too. Or when we take him to the beach and he can frolic in the waves. They tire him out. We don’t go often enough anymore because sometimes the walk from the car to the water is exhausting for him. I’m considering getting a beach wagon. You know, for the dog. But there are still a few things that he absolutely loves. And that’s what I’m going to try and focus on. Stay Active – whether it’s walks, runs, or simply heading off to a dog park or beach, dogs are active pets and require exercise. This is an added bonus for us humans because it forces us to get up and go. And just because my dog is slower with old age, he can still enjoy a bit of swimming in the ocean. Praise and Reward – now reward doesn’t necessarily mean treat, it can also equal a fun ball, or a chew toy. And even a nice, long scratch or massage. Basically when your dog is behaving, shower them with love to reward them for their good behavior. 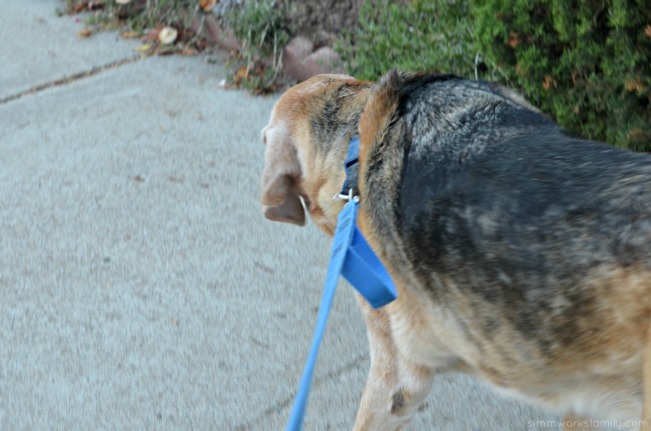 Fun Activities – I don’t know about you but I like to bring my dog out and about. So we try and include him in the fun activities we do as a family. Whether it’s walking around a street fair, taking a hike, or a leasurely walk with the family to Dairy Queen around the corner, he comes with. Snuggle – I don’t know about your pooch, but the one thing mine LOVES is a good snuggle. He’s 85lbs and pretty lanky but he *thinks* he’s a small lap dog and will always jump at the chance to climb into my lap. Giving him a few snuggles every now and again changes his whole demeanor. Acknowledge – I know this is a given but as I mentioned before, it can be something that escapes my mind. So I am making a conscious effort to acknowledge my dog each and every time I walk into the door. He waits for me patiently and is excited by my presence, so why shouldn’t I reciprocate? With all of the praise and love I show my dog, I know the most important thing is to make sure he’s healthy. And that means feeding him a nutritious diet. Luckily I have NUTRO™ Rotations™ dog food to take care of his dietary needs. Not only do we have a great dog food to offer him, but we can offer him variety through the NUTRO™ Rotations™ line of foods. We can even feed him a similar meal to our own! And when it comes to travel, we can bring it along and not have to worry about running out and having to offer another variety when on the road. 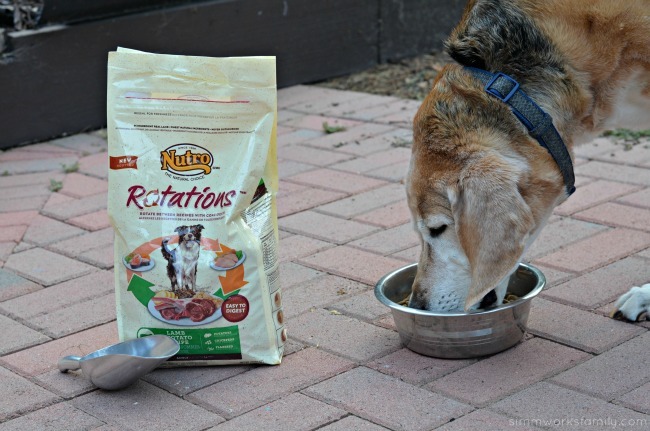 Only NUTRO™ Rotations™ offers a solution to feeding variety with digestive stability. That means when you switch up from the Lamb and Potato recipe to the Chicken and Brown Rice recipe you don’t have to worry about slowly introducing the new recipe. NUTRO™ Rotations™ dog food, an exciting new way to add some variety to your dog’s diet, lets you confidently switch from one recipe to another with no transition between bags – it’s that easy. And I like easy! 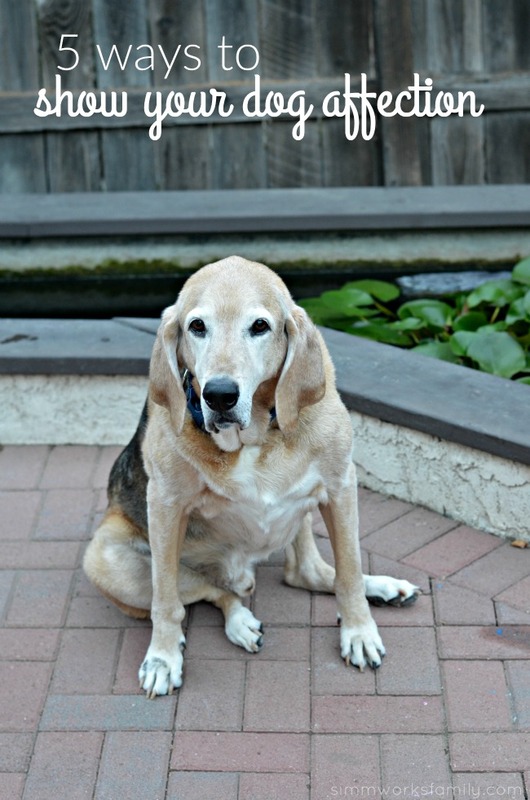 How do you show affection to your pooch? I’ve become addicted. Addicted to chickens. And it’s only been a little over 6 months since they came into our lives. After a bit of research, and watching a few friends hop on the backyard chicken bandwagon, I decided that I wanted chickens too. Since you can have up to 5 hens in San Diego as long as you’re within the city guidelines, I knew I wanted to get a few. I just didn’t know when. So when I received a chicken coop as a birthday present from the kids and husband (all my son’s idea) I was ecstatic. Since the day they were taken home, the kids and I have been ever so joyed at their antics and shennanegans. Joseph however isn’t amused. Maybe it’s because of all of the poop and flies they brought our way? Eh… no big deal when you’re getting fresh eggs!! Of course it took 6 months to get our first egg. 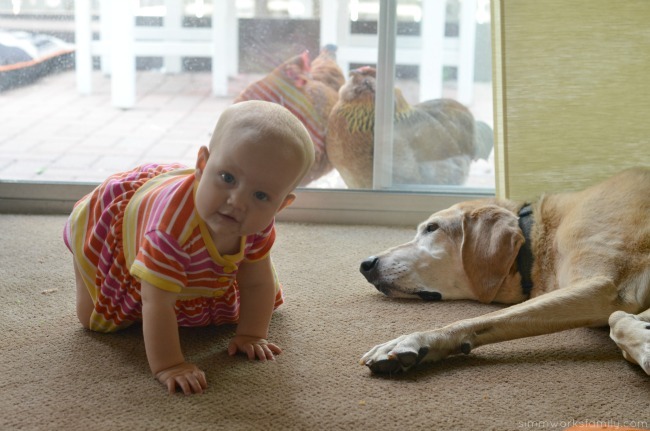 And only one chicken is laying so far…But boy do our chickens give us more than just eggs. 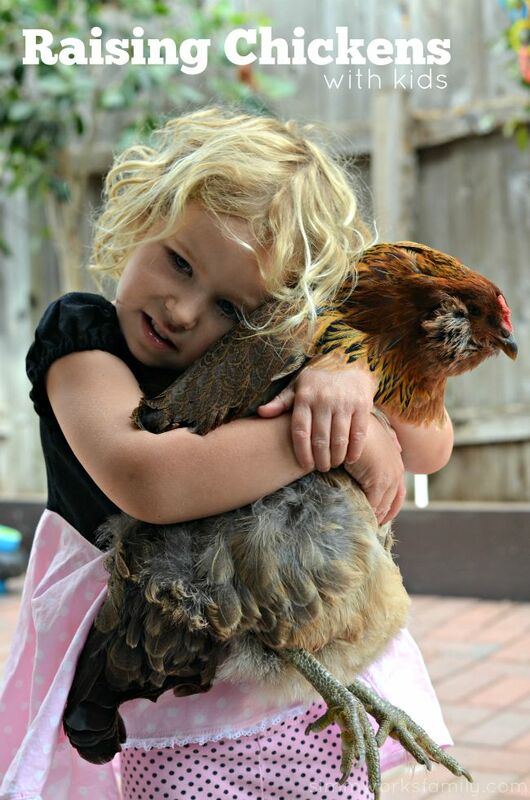 And raising chickens in San Diego with kids is a learning experience that’ll last a lifetime. Below are some tips we’ve learned so far! 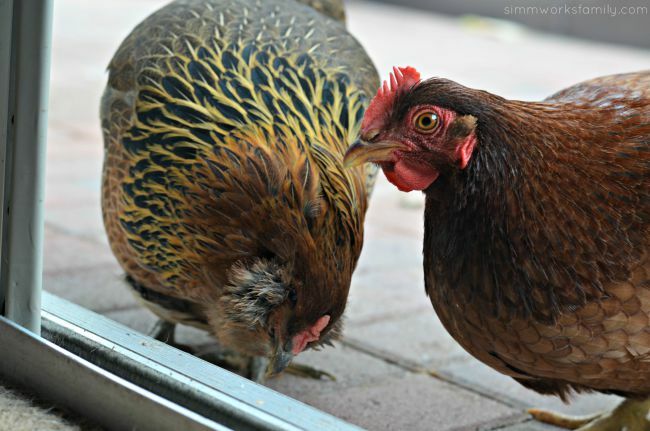 First things first… decide on how many chickens you want and what type of chickens you want. There are a lot of different viewpoints on what chickens are best. 5 hens will supply approximately 30 eggs a week which would meet the needs of a typical family of four. Since only my son and I are egg eaters in the morning, we went with two hens for now. But I have plans to expand our flock to four hens in the near future (fair warning… the impulse to add to your flock grows strongly after they start laying). 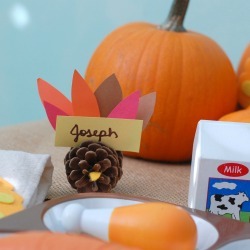 Different types of chickens will lay a different number of eggs each week. And the color of the eggs depend on the type of chicken you get. Our Rhode Island Red lays brown eggs. But our Easter Egger is going to be a surprise since Easter Eggers are the mutts of the chicken breeds. We don’t know what color she’ll lay (blue, green, etc) until she starts laying. 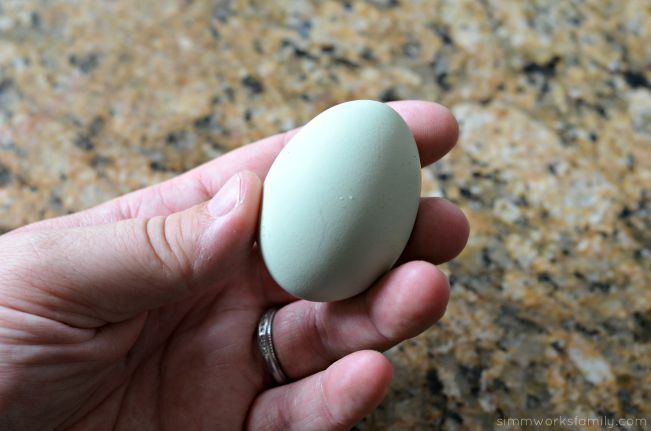 Ameraucanas lay blue eggs while Olive Eggers lay green eggs! You can look up the various breeds on quite a few sites. 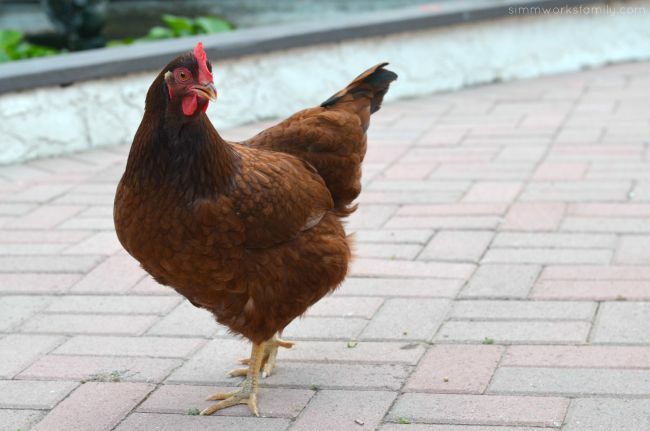 We used My Pet Chicken to narrow down what breeds we wanted in our home. As I mentioned before, we chose a Rhode Island Red (RIR) who was supposed to lay 4 times a week and an Ameraucana turned Easter Egger who was supposed to lay 3 times a week. My RIR lays 4 days on, 1 day off. And we’ll find out what the Easter Egger lays once she starts. Once you decide on how many chickens and what breed chickens you want, then you need to decide how old you want the chickens to be. 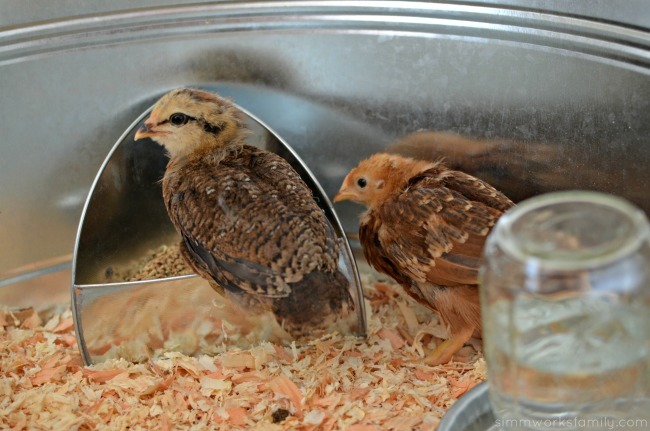 Will you be hatching them yourself or buying baby chicks who are a few days to weeks old? Deciding that is dependant on how prepared you are and if you have the equipment needed to take care of babies or just want to jump into full grown hens. We chose to purchase 3 week old chicks from a local place because a. we only needed 2 chicks and most places that ship chicks require a minimum of 3 chicks (most places require more to reduce shipping costs) and b. it was fun to have the kids pick out their own birds. When shipping chicks, they need to stay warm so sometimes warmers are added to the package if you don’t order a lot of chicks so they don’t perish during their travels. I didn’t want to have the kids open up a box with the chance of any babies dying so local was easier too! 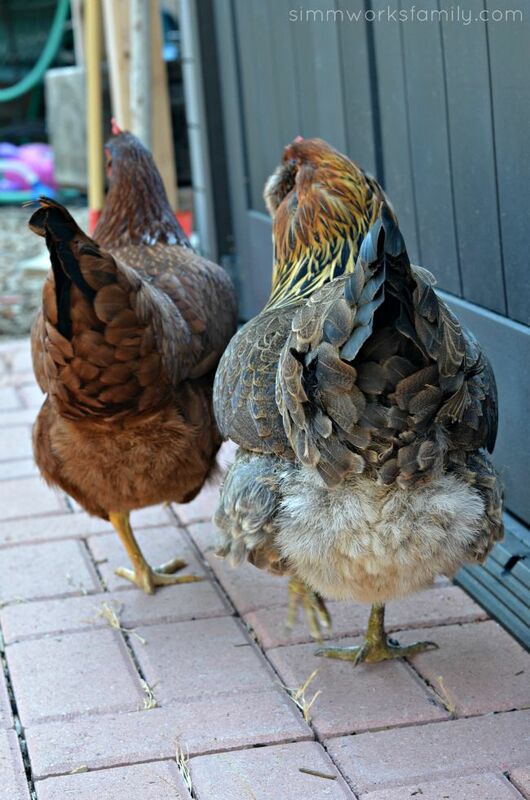 Once we brought them home we couldn’t just put them in the coop and let them be. We kept them inside the house in a little galvanized tub with their food and water along with some pine shavings. Then we covered the tub with some chicken wire and clips to keep them inside. They stayed in there for a few weeks until they were old enough to go in their coop; when their feathers grew out. The kids would take them out daily to let them wander our yard but made sure to stay close to them and watch for any predators (like the red tail hawks in the area). From the time we took our chicks home until they started laying eggs we fed them Start n’ Grow. 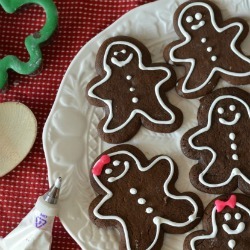 Alongside the Start n’ Grow we feed them lots of fun treats. Basically anything we eat, they eat with the exception of chocolate/sweets, avocado and avocado pits, and anything you wouldn’t eat (moldy or rotten). Everything else is fair game. Our chickens eat just about anything we put out but do have their preferences. They have a newfound love of red grapes and raisins but will take longer ot eat the green grapes or dried cranberries (weird, right?). They rush to the door when I have the leftover wax worms from our leopard gecko. And they leap in the air to catch blueberries when we have them. This is all on top of the greens and bugs they get while free-ranging in the back yard. 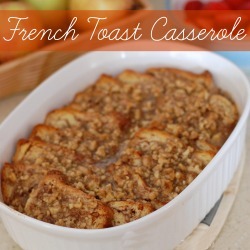 Once the first chicken started laying, I started to also offer crushed oyster shells. Oyster shells (or egg shells cleaned, dried, and crushed up) can provide much needed calcium for the birds to keep their shells thick. 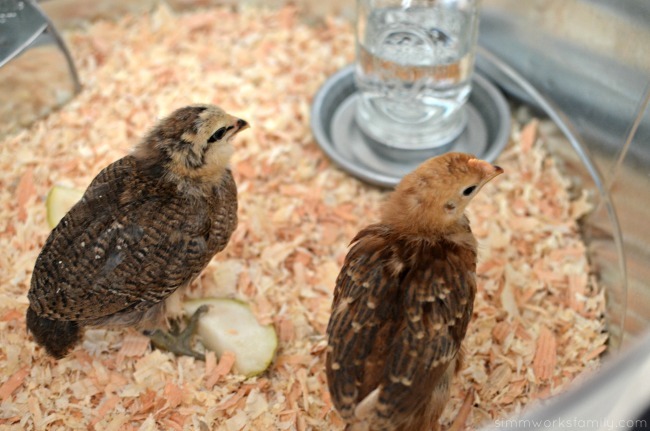 Before we got our chicks, as I mentioned, my husband purchased a coop online for my birthday. He knew I wanted 2-3 chickens and made sure that the coop he got had the space for those chickens. It’s suggested that at a minimum you have 4 square feet of space for each chicken in the coop. And 10 square feet of room in their run (unless they’re free ranging in your yard like ours are). Basically they need room to spread out. When choosing the coop for your birds, make sure you factor in chicken math. You know… when you start with two but end up with 5 because they’re so addicting? Yes. It happens. I promise. 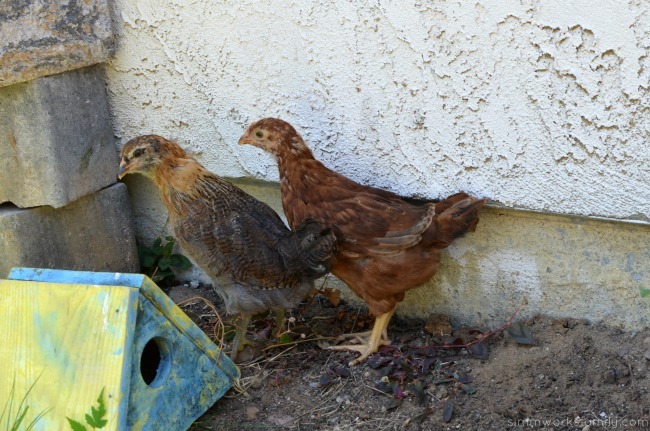 So if there’s even an inkling of wanting more chickens, consider getting a larger coop. Or plan to upgrade later. We’re planning on upgrading shortly and expanding our coop. 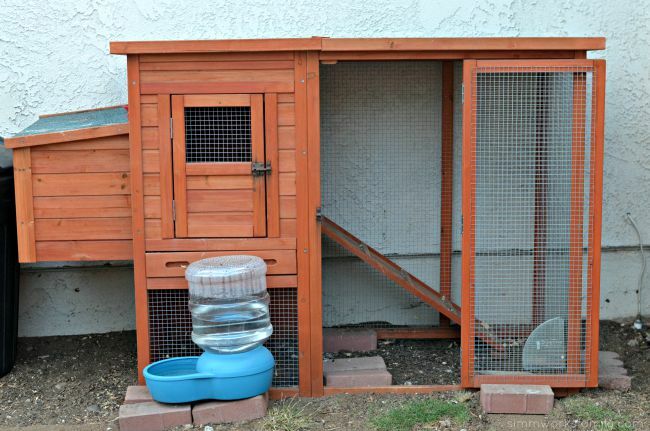 There are various materials you can use for your coop floor and for the roost and nests. We chose to go with pine shavings in our roost and nest areas and dirt outside. Since we had a bit of a rodent problem trying to get the chicken feed, we put chicken wire on the bottom of our coop and weighed it down with some bricks then covered with dirt. 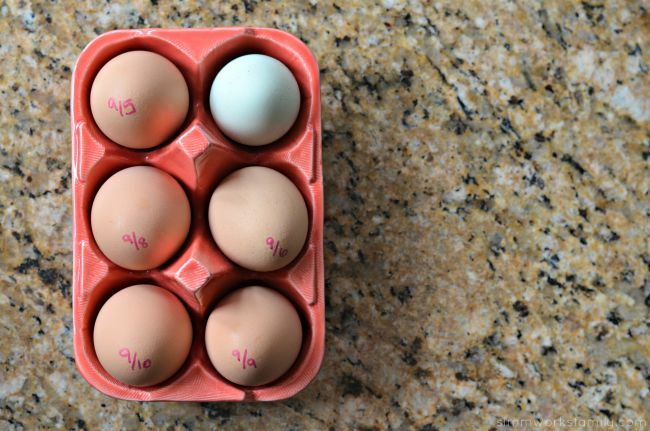 Depending on the breed, you can get anywhere from 3-6 eggs a week from your chickens. Our Rhode Island Red was told to average about 5 eggs a week and has been producing 6 in 7 days. She lays one egg 4 days in a row and then skips a day, then starts laying again. Since it takes about 25-28 hours for an egg to form, she lays at different times of the day. 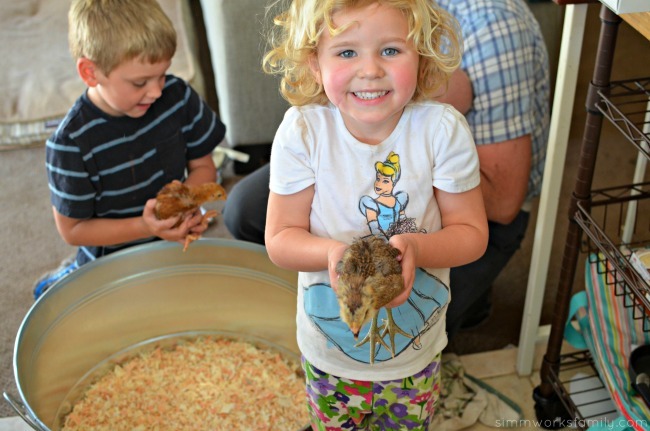 Have you considered raising backyard chickens with your kids?